ZSCHAU, Edwin Van Wyck, a Representative from California; born in Omaha, Douglas County, Nebr., January 6, 1940; attended public schools in Omaha; A.B., Princeton University, 1961; M.B.A., 1963, M.S., 1964, and Ph.D., 1967, all at Stanford University; professor, Graduate School of Business, Stanford University, 1965-1969; visisting professor, Harvard Business School, 1967-1968; founder and president of Systems Industries, Inc., a computer equipment manufacturer; elected as a Republican to the Ninety-eighth and to the Ninety-ninth Congresses (January 3, 1983-January 3, 1987); was not a candidate for reelection in 1986, but was an unsuccessful candidate for the United States Senate; became a partner of Brentwood Associates in 1987; is a resident of Los Altos, Calif.
Papers: 1982-1987, 193 manuscript boxes, 1 oversize box, and 3 computer tape reels. The papers of Edwin Zschau contain correspondence, memoranda, press releases, bills, testimony, studies, campaign literature, printed matter, and video tapes, relating to Congressional election campaigns, and various national political issues, particularly export administration of high technology products. A preliminary inventory is available in the repository. Videoreels: 1986, 13 commercials on 11 videoreels. 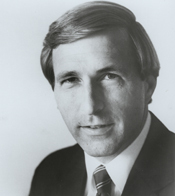 The commercials were used during Edwin Zschau's campaign for the 1986 U.S. senatorial election in California, Republican Party. Zschau, E.V.W. Project Modelling: A Technique for Estimating Time-Cost-Performance Trade-Offs in System Development Projects. Santa Monica, Calif.: The Rand Corporation, 1969.